For intricate, finely finished cuts in wood, plastic, and metal, use one of these scroll saw blades. 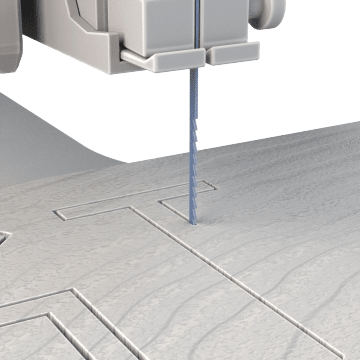 They are small and flexible enough to be fed through small starter holes to create cuts away from the edge of the workpiece, such as when cutting notches in furniture, and they leave a fine finish on the workpiece. 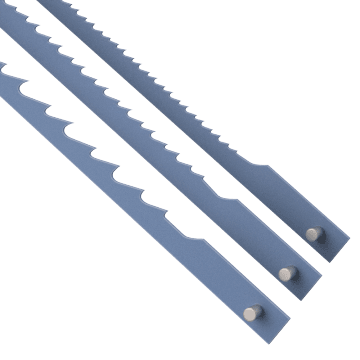 In general, wider blades are more durable and are preferred for straight cuts and curved cuts with a wider arc, and narrow blades are more fragile and are used for cutting shapes and tight contours. TPI is the count of the number of teeth per inch. Generally, blades with a higher TPI will leave a smoother finish on the workpiece but cut more slowly, while blades with fewer TPI cut more quickly but leave a rougher finish on the workpiece. Choose from individual scroll saw blades in a range of styles and sizes to suit your workpiece and application. 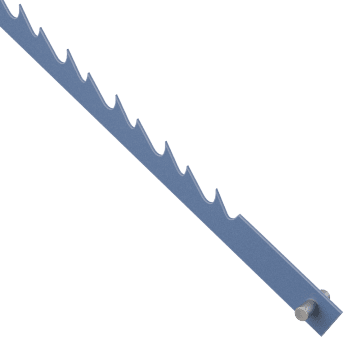 Scroll saw blade assortments have multiple blades in different styles, widths, and teeth-per-inch (TPI) counts for cutting a wide range of materials, including wood, metal, and plastic.